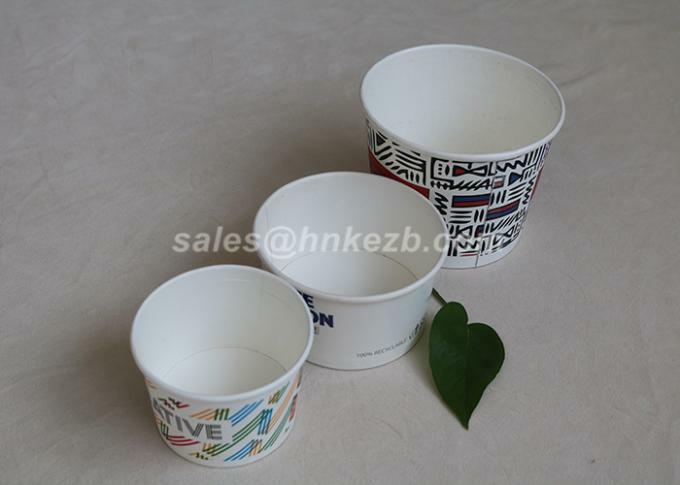 New Style Ice Cream Yogurt Paper Cups Printing Double PE with Different Sizes. You will love our ice cream - yorgurt cups for ice cream sundaes and banana splits. These cups are perfect for any dessert including the yummy brownie sundaes! Room for brownies, whipped cream and toppings. Perfect size for Ice Crem Buffets. 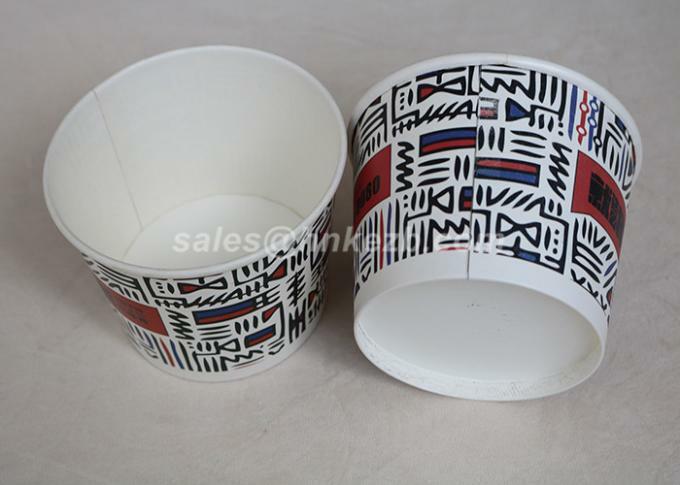 Sprinkle some fun on your next party with our darling paper dessert cups. Also great for serving Fruit, Veggies and other yummy party food treats. 1 . Virgin paper with FSC certifacation. Factory certifications include HACCP, ISO9001, ISO14001 (authorized manufacturer for Coca-cola products). 3 . High quality control system. 6 . Full range of product sizes from 2oz to 32oz. 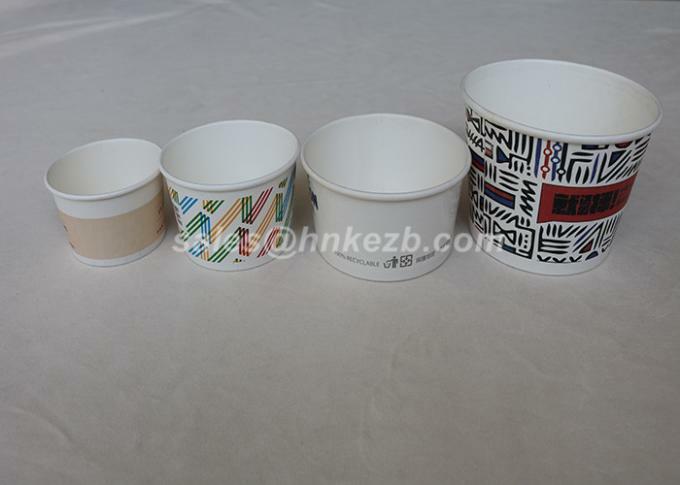 Variety of paper designs: ripple wall, double wall, coffee cups, cold cup, ice cream cup, soup cups, popcorn bucket. 7 . Effective packaging solutions. 8 . Environmentally safe and green-minded. 1) 100% raw wood pulp. 2) Environmental oil and no smell. 3) Food safe, against oil and water. 4) Customers own design is welcome. 5) Competitive price, high quality. 6) Good service and timely delivery.